Frontier IP Group (LON:FIPP), a specialist in commercialising university intellectual property, today announced portfolio company Fieldwork Robotics (the “Company” or “Fieldwork”) has won a UK government Innovate UK Industrial Strategy Challenge Fund grant to accelerate development of its raspberry-harvesting robot system. Innovate UK, the UK’s innovation agency, has awarded the University of Plymouth spin out grant funding of £547,250 towards a £671,484 project to create a multi-armed mobile robot prototype. The other project partners include the University of Plymouth and the National Physical Laboratory. 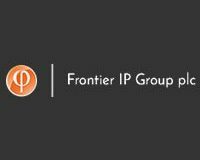 Frontier IP holds a 27.5 per cent stake in the Company. Frontier IP provides Fieldwork with support for engineering and software development, fundraising and industry partnerships. The Company was incorporated to develop and commercialise the work of Dr Martin Stoelen, Lecturer in Robotics at the University’s School of Computing, Electronics and Mathematics. The government grant builds on the industry backing Fieldwork gained in August 2018 through a collaboration agreement with a leading UK soft-fruit grower, Hall Hunter Partnership. Hall Hunter supplies Marks & Spencer, Tesco and Waitrose. Fieldwork is focused initially on raspberries because they are hard to pick. They are more delicate, more easily damaged than other soft fruits, and grow on bushes with complex foliage and berry distribution. Once the system is proved to work with raspberries, then it can be adapted readily for other soft fruits and vegetables. Farmers around the world are increasingly interested in robot technology to address long-term structural decline in labour, an issue which has been brought into sharper focus in the UK by Brexit. Fieldwork is developing proof-of-concept robots for other crops following interest from leading agribusinesses. The Innovate UK ISCF grant is one of several to be awarded to Dr Stoelen’s work. A project to develop robot systems to harvest cauliflowers is supported by Agri-Tech Cornwall, an initiative part funded by the European Regional Development Fund with match-funding from Cornwall Council. Dr Stoelen is also working on a tomato-picking project run in partnership with Shanghai Jiao Tong University. To support further development of its flexible and adaptable robotics technology, Fieldwork Robotics is expected to seek further funding from institutional and private investors during 2019.